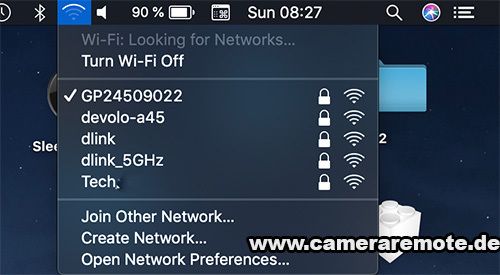 In this tutorial we will show step-by-step how to connect to a camera Wifi network under Android, iOS, macOS, and Windows. 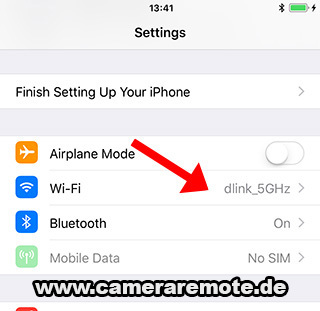 Press the text below the Wifi icon (works on Samsung devices). 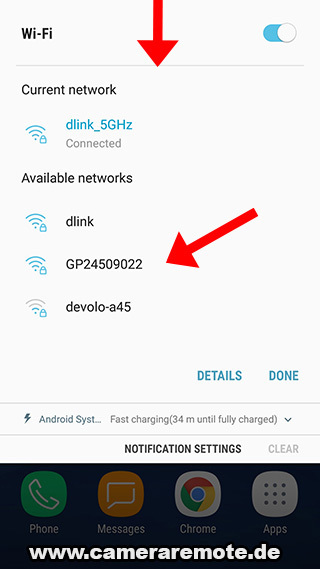 Press and hold the Wifi icon (works on vanilla Android, e.g. Google Pixel, Nokia 7 Plus). 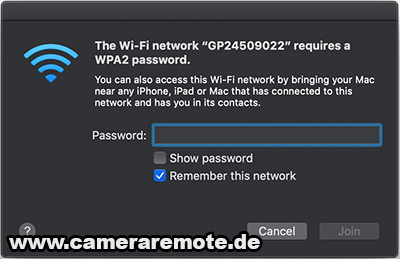 Then enter the Wifi password and press CONNECT. You are now connected to the Wifi network. A popup dialog will show. Enter the Wifi password and press Join. You are now connected. 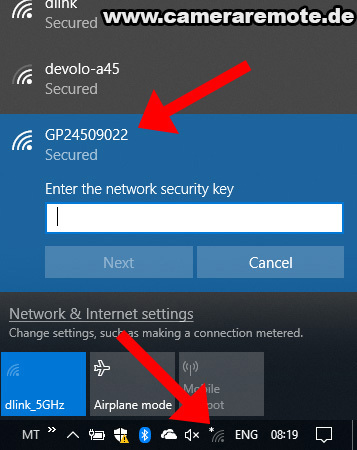 Select the Wifi symbol in the Windows taskbar. 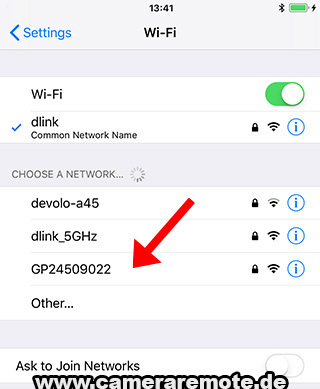 Then select the Wifi network (GP24509022 in this example) and press Next.